LJK-N Series Compact Plastic Limit Switches with Positive Opening Mechanism. 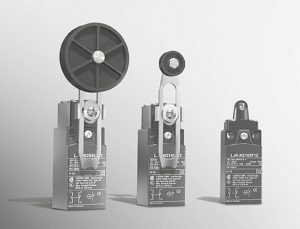 The LJK-N is a very cost efficient and reliable compact plastic limit switch that has a positive opening mechanism. The series conforms to IEC standards and most models include UL and CSA certification making this an excellent choice for machine builders exporting to facilities anywhere in the world. The series has a wide variety of models including 11 types of actuators and multiple contact configurations.